The DepEd Order No. 4, series of 2014 so requires for strict compliance the implementation of the new school forms for school year 2014 - 2015. The Balabag Elementary School under its new school principal, Gil Camporazo conducted an in-service training (INSET) for its 16 teachers of which 14 are class advisers and 2 are relief teachers. 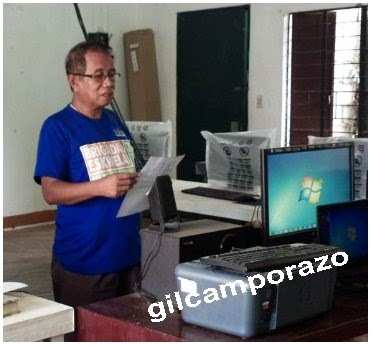 The school principal, Gil Camporazo utilized the DepEd video presentation which he compiled from the Learners Information System (LIS) website. As required by the DepEd, the modified schools forms should be adopted for public elementary and secondary effective the end of school year 2013 - 2014. 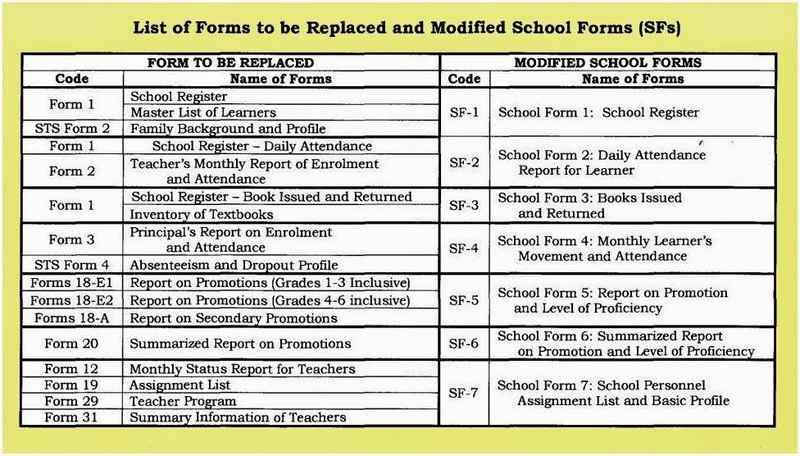 Thus, by SY 2014 - 2015, the public schools in the country are obliged to use the seven modified school forms. These forms have replaced the 15 previous forms as shown below. 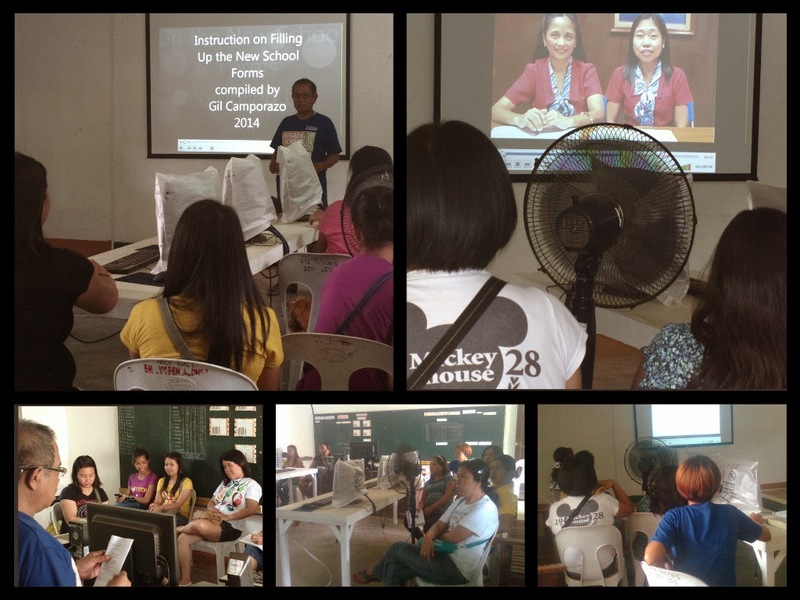 This is the first INSET conducted for the school year 2014 - 2015 to usher the opening of classes on June 2. The school principal as one of admins in the Learner Information System (LIS) helpdesk in the social media to assist and even help those teachers on their encoding problem like enrolling their pupils, updating their pupils' profile, and many more. After a series of summer in-service trainings conducted by their division starting the last week of April and almost the whole month of May, he took the last Friday of the month of May to hold his INSET for his teachers to set everything in order not only for the opening of classes, but to let his teachers knowledgeable and expert in handling the new school forms as introduced by the DepEd in which some these forms had already been used for the closing of the school year 2013 - 2014. Using the e-classroom of the school and its facilities, the half-day inset was realized. The school principal pointed out to the teachers the legal basis for the immediate adoption of those school forms. On form 7, the teacher teaching assignment is recorded. Every teacher is mandated to teach 6 hours and 2 hours teaching-related job like preparation of lesson plans, instructional materials, preparation and checking of exercises, recording of academic performance results and classroom accomplishments, among others. The teacher is given one teaching load if he is an adviser of a class or has given a special assignments like a BSP coordinator, Clinic, and the like for the whole school year as stipulated on DepED memorandum No.291, s. 2008, dated June 13, 2008. 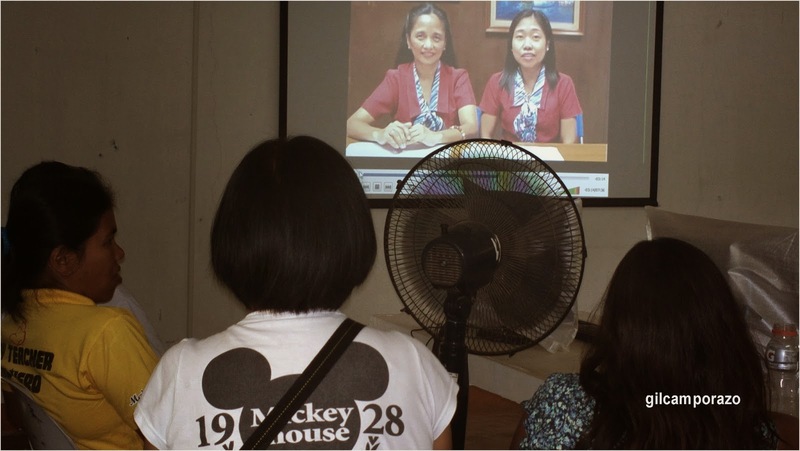 The video used in the presentation was taken from site of Learner Information System as posted by Sir Jonathan Diche. 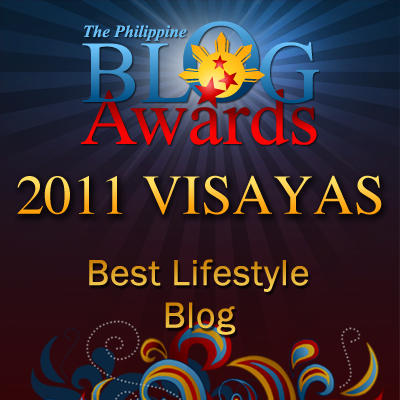 The forms were taken also from the said site as posted the same by Sir Diche. 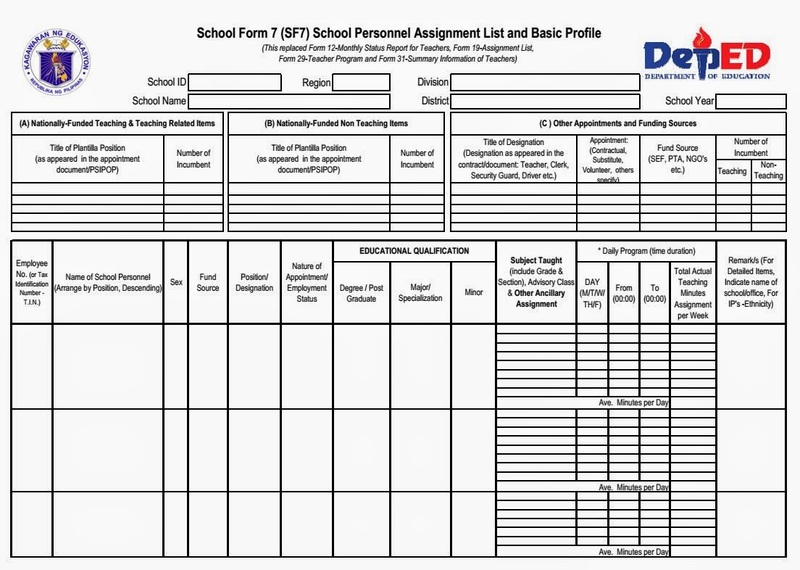 The video is showing a simple instruction in filling up the new school forms. The Balabag Elem. School teachers are now ready to apply what they've learned from their inset and ready to adopt the new school forms for this school year 2014-2015 and onward. I'm not familiar about the forms because the only form I know is form 137 and form 138. With regard to e-classroom, I saw that in the news last night and I find it amazing. I hope there will more e-classrooms. I'm sure the new forms will make the school more organized. It also makes the teachers role more defined and clearer. Hope the new form will help the students as well. Its not eating to be a teacher that I know. For sure the new forms will benefit a lot of students as well. This is a good idea to enhance the coordination of teachers as well to benefits their students. This is the first time I learn about this form. I think this balances the load of each teacher and helps them do their work better. Finding a better way to our educational system like this is a must. These new forms will surely help the school and all it's transactions more organized. It's good that it is currently happening in our educational system. It will surely benefit both students and teachers. Registering with an honest development recruitment agency would be the ideal alternative to popular acquire whatever you ought to get and also wish to have.job search engine, find jobs on the net has transformed the way in which precisely how people looking for work identify organizations. With this hectic world these days.